It is that phrase “to be of use to” that I want to consider here. For those of us interested in poetry, we tend to think in terms of poets as “poets” or writers before we think of them as people with lives, and sometimes lives where they excelled at things other than poetry. Williams was known as a doctor (specifically, a pediatrician) before he became known as poet. And he was a doctor in Rutherford, New Jersey, and he was “of use” as a doctor before his poetry helped put Rutherford on the map. It’s not only the direct references. His poems are written with a keen, observing eye: the eye of a doctor, a physician who can’t always rely on what his patients tell him or what he can directly observe, because he knows so much may be hidden and unknown. 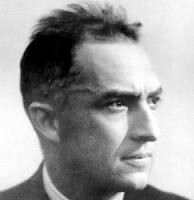 The poetry of William Carlos Williams cannot really be separated from his work as a physician. I suspect his work as a physician cannot be separated from his poetry, either. Both are facets of the same person, a whole person, and man who wrote poetry with a doctor’s eye and practiced medicine with the compassion of a poet. And so question: can you see how your own everyday work influences and structures your writing, whether it is poetry, fiction, non-fiction or all of the above? Can you find similarities in how you do work and how you write? Photograph by Kelly Sauer. Sourced via Flickr. 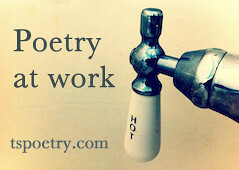 Poetry at Work™ post by Glynn Young, author of Dancing Priest. Buy a year of happy work mornings today, just $2.99. In October we’re exploring the theme Wine and Beer. Glynn – What a beautiful piece. When I read “poet doctor,” I thought of Wendell Berry himself who is called “poet farmer,” and I wondered, as you do in the closing there, whether I am equal parts writer and data analyst, equal parts writer and social media marketer, or if I have worked so hard to keep my identities separated that the title would never apply to me so easily as it does to Williams or Berry. 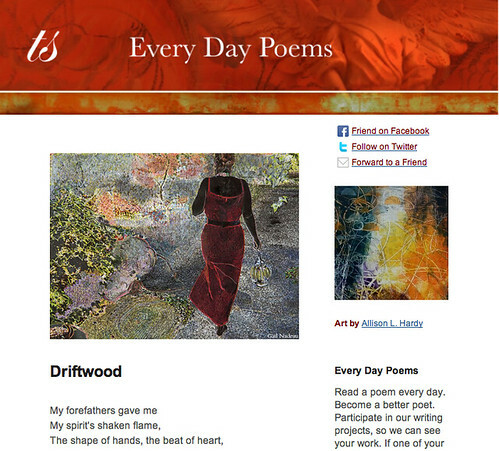 Maybe this is the true work of poetry and writing – to link to everything we are. It’s a kind of modernist thing to do – segment ourselves into a work person, a home person, a church person, a party person, etc. We are all of a piece. Thanks for the comment, Charity. I don’t know how a writer can ever separate him or her self totally from what they are writing. Experiences and characters may be fictionalized, of course, but there is always something of the writer’s personality and outlook in the final product. A few months after my novel was published, my wife commented that I was all over that book. I was surprised – I’m not an Anglican priest, I’ve never competed in the Olympics, I’ve never lived in Edinburgh or San Francisco — I couldn’t figure out what she was talking about. So I reread it carefully, and discovered she was right. I was. After reading “Something Urgent I Have to Tell You”, the recent bio of Williams, I came away with a new appreciation for how complicated a person Williams was. He clearly wanted renown and yet was rooted to place, practicing medicine among relatively poor patients to whom he seemed to be intensely devoted. His personal life is in a lot of his work. Every writer draws from his or her own life, which provides the experience to illuminate the writing. Being a doctor offered Williams plenty of “good copy”, so to speak. I will have to read that bio. I really didn’t know much about him until I bought a reprint of “Spring and all.” And then the Berry book. I found the book a bit of a slog. Leibovitz has a take on Williams’s work that I had not been exposed to in others’ perspectives on his work, and he spends quite a bit of time on work that is not poetry. That said, he covers his ground deeply. Great point, Glynn. Sometimes I wish all I could do was write as a profession, but then I do wonder, where would my inspiration come from? Or how would I write differently if that’s all I did, as opposed to finding those special moments now in the midst of other work. Chris, someone once said that about three poets in the United States could support themselves on sales of their poetry books. It’s an exaggeration, but likely true in a very general sense. So we do other things, and we drawn inspiration from what we do. Thanks for reading. We try to separate one thing from another in our lives, and yet it continues blended as the colours of a sunset sky. No matter how hard we try, we can separate ourselves into pieces. Just doesn’t work. Thanks for reading and commenting (and amening). I could see it as something we try to write about ourselves…. So if a Dr reveals himself in his poetry why shouldn’t someone who had been immersed in Early Childhood Education be revealed in a similar way? LL you ask a powerful question. Glynn I love what you said near the end about the facets of one man…. The compassion he brought to his medicine and his poetry are from one heart. Donna, we write with our whole lives, even if we try consciously not to. It’s how we’re made, and how our mind things. I don’t know why it comes as such a surprise to me, but it does, and I’m grateful for the persepctive. 🙂 (and just to say my comment is mixed up… there was a facebook or twitter post w a question by I think LL but not sure… sorry to be confusing. I can’t find the post now, but it’s related).